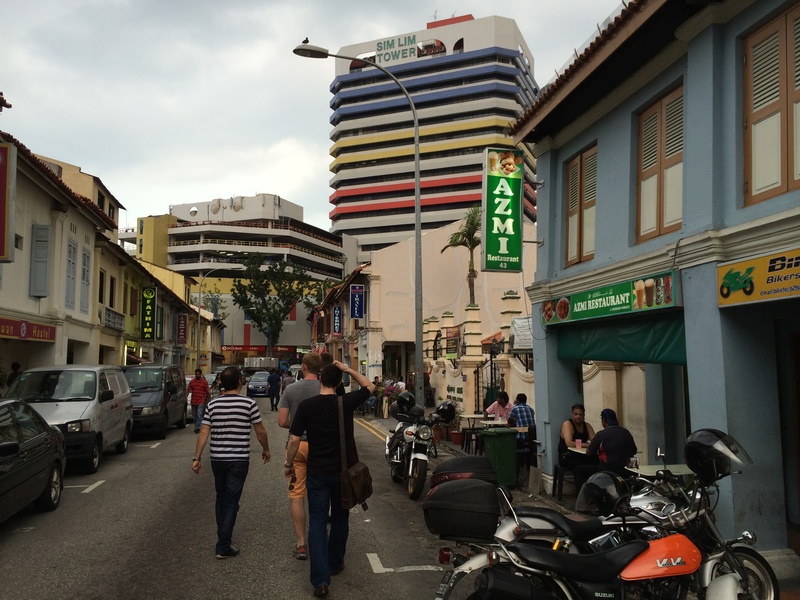 Located just beside the Abdul Gaffor Mosque at 43 Dunlop Street is a humble establishment by the name of Azmi Restaurant. 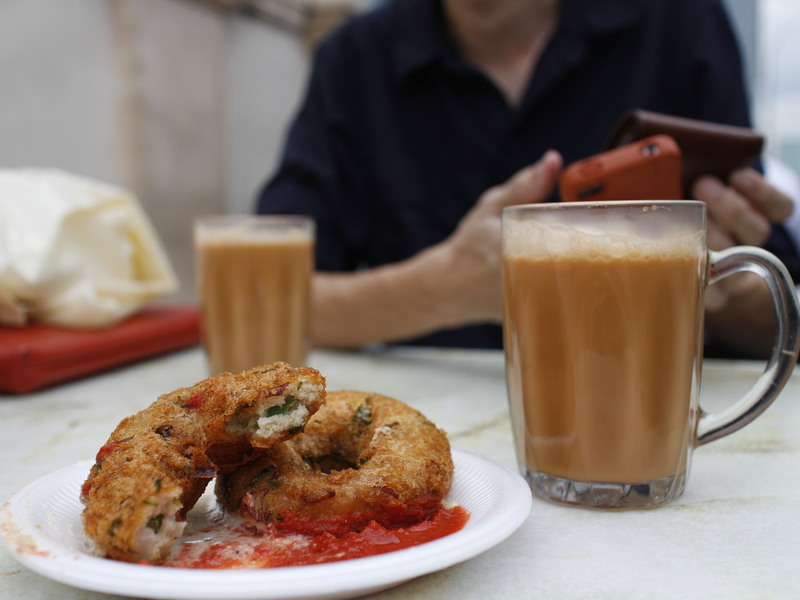 Not to be confused with the more famous Azmi Restaurant at the nearby Norris Road, this little hole in the wall serves up possibly the best snack combination in Little India of Vadai and teh tarik (pulled tea with milk and sugar). The vadai sits atop a bed of white yogurt and red chutney, creating an amazing combination of texture and flavour all at once. 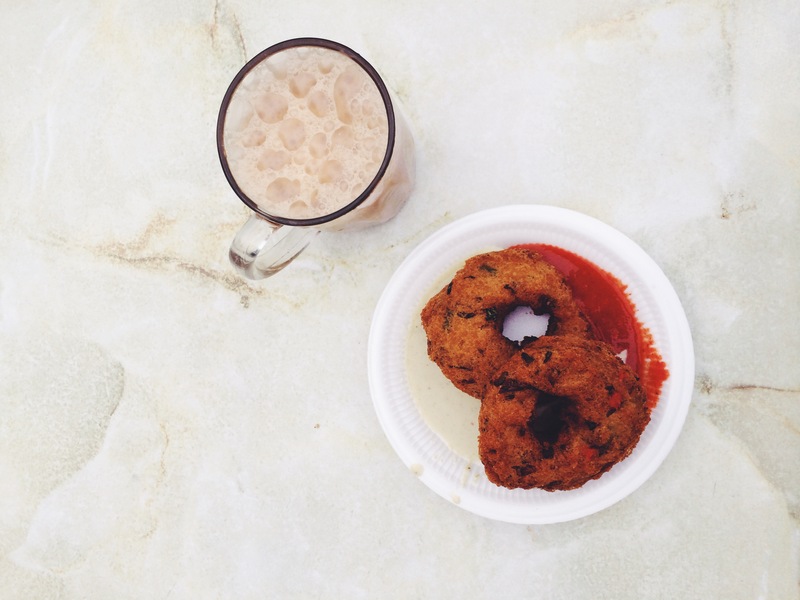 For just $2, you can get a couple of these savoury South Indian fritters together with a nicely pulled cup of teh tarik. Crispy on the outside and fluffy on the inside, the key thing that sets this vadai apart is how all the texture and traditional Indian spices combine so well with the unique blend of white yogurt mix and red chutney that’s laid upon each plate, with the vadai resting invitingly on top of it. 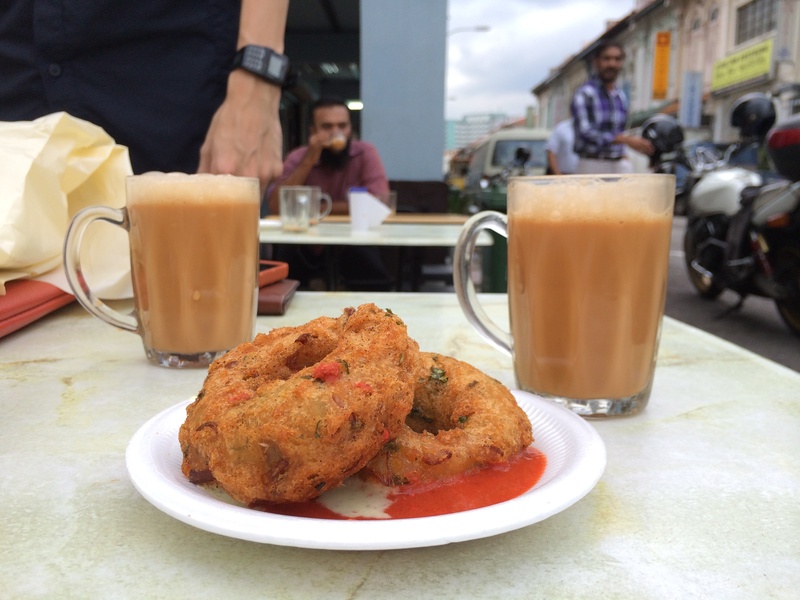 Spicy, aromatic, sweet and crispy all at the same time, this humble dish of many variations is the perfect snack for anytime of the day, whether it’s to the devotees at the Abdul Gaffor Mosque, or just lucky passerbys like me who enjoy the comfort and conversations it brings.